We bring the term to a close this week with three concerts in Germany, performing in Kaiserslautern, Langenselbold and Iserlohn between 4 and 7 April. It’s always lovely to be back in Germany and it’ll be great to go out with a bang before a couple of week’s rest! 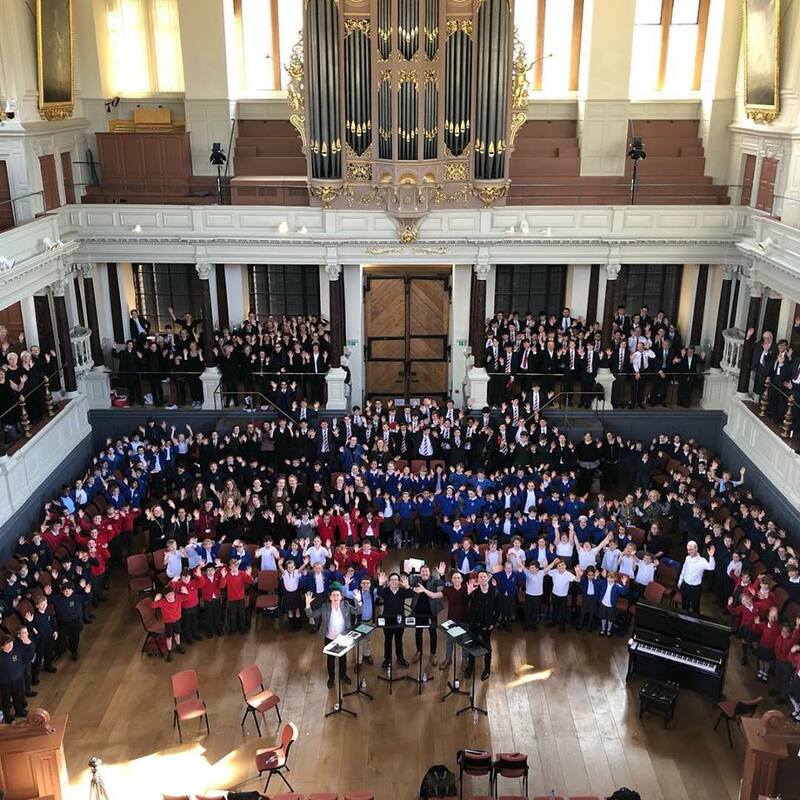 At the end of March we had an absolute blast at Oxford’s Sheldonian Theatre, with over 300 singers joining us from schools all around the local area. They made a fantastic sound and we had a great day together, as I’m sure you can tell. You may also have seen that we’ll be at the Edinburgh International Festival this year! On 10 August we’ll be joining the Royal Scottish National Orchestra and conductor Edward Gardner to perform a new version of Sir James MacMillan’s Quickening. It’s an amazing piece and the concert will be a real highlight of the summer – we can’t wait!